We are proud to offer the Monopoly set for true players, an elegant exclusive from Geoffrey Parker. 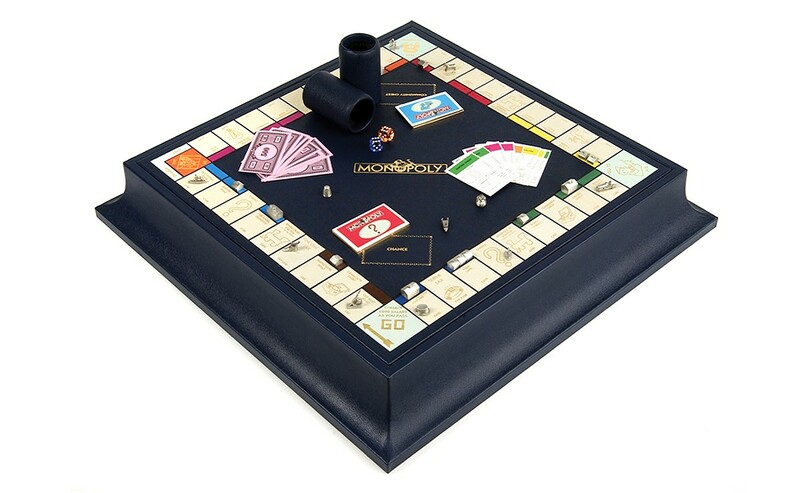 This marvelous edition of "the most played commercial board game in the world" comes crafted for kings of real estate, boasting rich elements fit for any penthouse on Park Place. Features hand-bound Dauphin calfskin sides, meticulously detailed scalloped pinth, and each of the seventy inlays embossed in silver or gold. 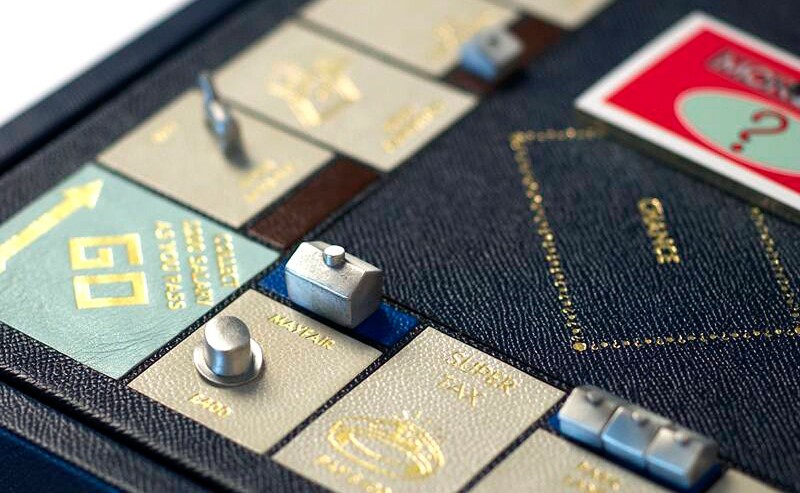 The board smoothly pivots to unveil a storage area beneath, where the game pieces nestle in soft, black felt. Game pieces are available in your choice of pewter, sterling silver, or silver-gilt. Two ball-cornered precision dice come complemented by a pair of nearly indestructible leather dice cups, outfitted with trips to assure fair play. Leather-bound bank boxes include a leather rule envelope and money separators for faux currency. Board offered in standard UK or US editions with regionally-corresponding streets, other editions available by special order. Pictured sample features marine plinth with magnolia streets.